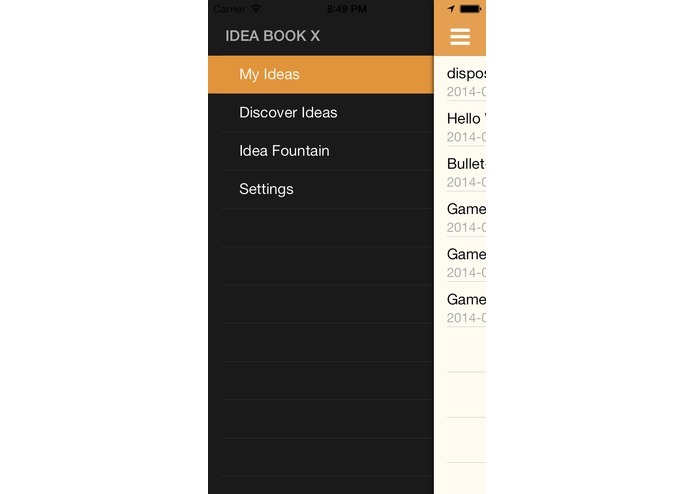 IdeaBookX is a handful app for users in creative industries. 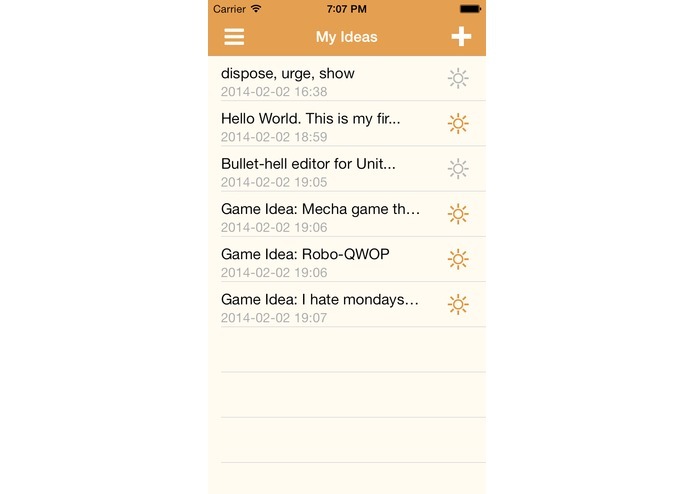 Its a nice little app to generate, discover and record ideas whenever you go with your phone. 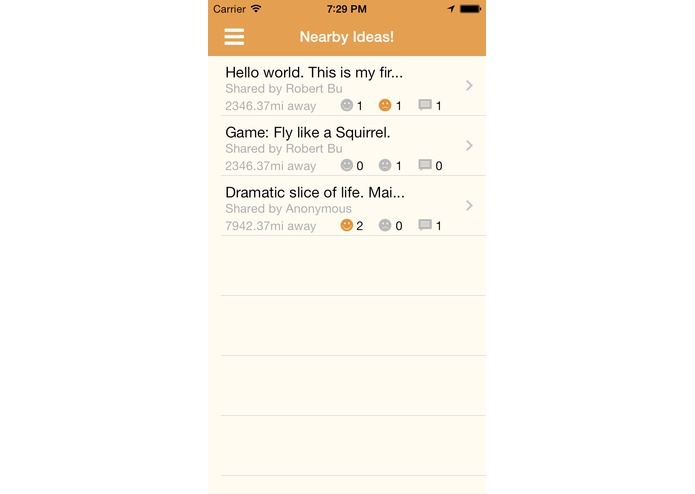 The key feature is that the users are able to share their ideas publicly or anonymously to nearby people, thus creating a social idea network based on geo-locations. 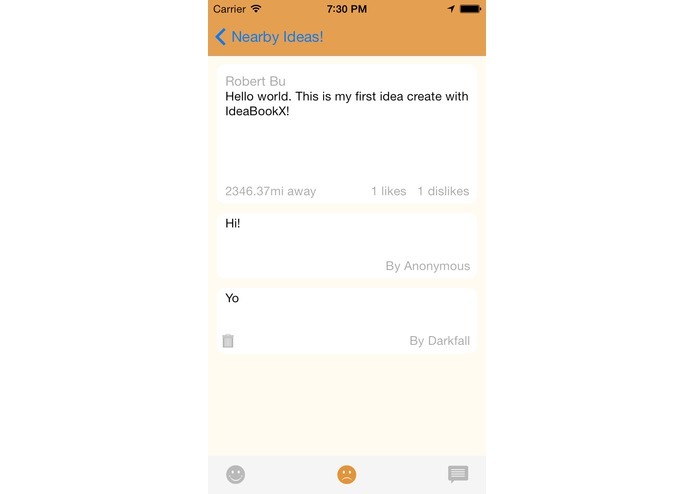 With this app, users can search ideas shared by others near them, like or dislike the idea and also share comments on the idea. The app also contains a mini game called "Idea Fountain". 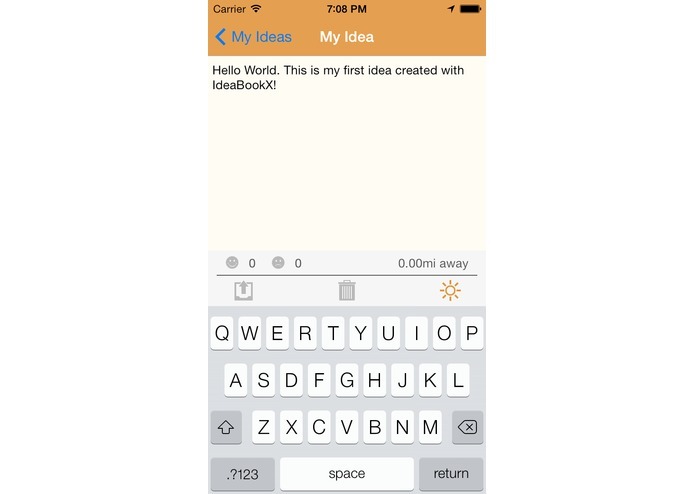 Random words will drop from the top of the screen and users can stash the words to create ideas. Its useful when someone wants to get something to brainstorm on. 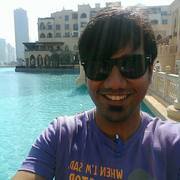 Currently the app is only designed for iPhone/iPod Touch.